In these increasing challenging times, where deciding who the correct or appropriate company or individuals to work with is becoming even more important, we wish to let out background and experience promote us rather than “peddle” ourselves with marketing jargon. We focus and collaborate with people in our area of competency. As a result, we serve a very specific purpose for our clients …. Ultimately, all our actions are driven by the overarching goal that our Client’s success is our Best Investment. George holds a Bachelor of Commerce and an LLB from the University of Pretoria, South Africa. He was admitted as an Attorney of the High Court of South Africa in 1995. He holds the Advanced Certificate from the Ministry of Finance in Cyprus and is a member of the Society of Trust and Estate Practitioners (STEP). His extensive experience in the legal advisory field includes advising numerous Investment Firms in Cyprus and a broad range of other international businesses in the commercial and financial sectors, from start-ups phase to public listings stage. He has worked within various regulatory jurisdictions in relation to a diverse range of financial, legal and business structures and has advised a significant number of investment firms. Significant transactions include an IPO, mobile license, public tender and noteworthy has been his involvement in the department of Islamic Financing and Securitizations in Cyprus. George has substantial experience both in advisory capacity and as hands on operations as the CEO of the largest regulated Investment Firms in Cyprus. It is with this background and experience that ultimately led to the founding of InvestCor. 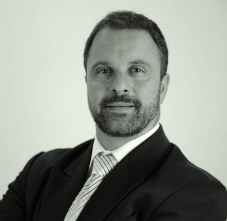 Today George Giannoulakis is the CEO of InvestCor Corporate Ltd.